On 24 January 2019, the Unrepresented Nations and Peoples Organization (UNPO), along with the la Fédération Internationale des Ligues des droits de l’homme (FIDH), the International Campaign for Tibet (ICT), the Ligue des Droits Humains, the Tibetan Community of Belgium and the World Uyghur Congress, have issued a letter to the paper Le Soir expressing their concerns about the continuation of the sharing of the Xinhua supplement on its November edition. A part of the official Chinese Government press organisation, Xinhua’s editorial line is subjected to the interests of the Chinese Communist Party and its repressive regime, which has been reported to have imprisoned over one million Uyghus in detainment camps. Therefore, the UNPO and the other signatories of the letter seek to bring to the attention of Le Soirthe fact that, in order to provide its readers with credible and legitimate information, it is crucial that it stops supporting through its publications a government that has been in several occasions condemned for committing atrocious violations to human rights and fundamental freedoms. 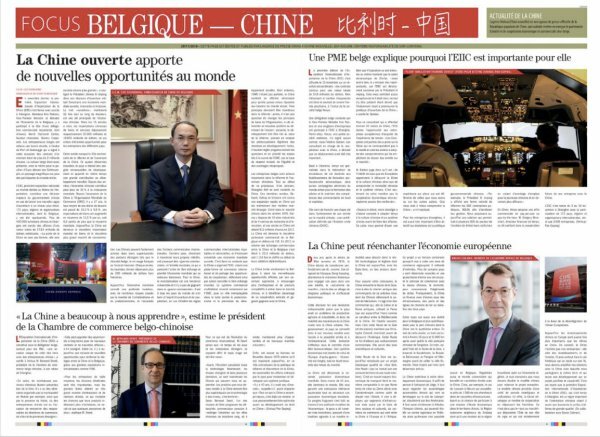 The signatories of this letter wish to express their deepconcern about the insertion of the Xinhua supplement « Focus Belgique-Chine » once again by Le Soir in its 29 November 2018 edition. Xinhua is an officialpressorganisation of the Chinese government, and its editorial line, far from taking into account the requirements of neutrality and objectivity of journalism, is in tune with the official propaganda and the interests of the Chinese Communist Party, one of the most repressive regimes worldwide,includingin terms of freedom of expression and information and of press freedom. As you are certainly aware, the human rights situation in China has strongly deteriorated since President Xi Jinping came to power. There are many examples of this deterioration, such as the establishment of a legal arsenal aimed at controlling NGOs, the surveillance of internet networks, police monitoring of Tibetans and Uyghurs, the practice of arbitrary detention or enforced disappearances, the use of torture in detention... Freedoms of expression and information are also systematically violated, as illustrated by the 5-year prison sentence imposed last May on TibetanlanguageeducationactivistTashiWangchukfor “inciting separatism” following the publication of an interview by the New York Times in 2015, and the arrest of Lu Guang, a Chinese photojournalist based in New York who had visited Urumqi – the capital of the Xinjiang province where a million of Uyghurs are reportedly detained without trial in re-education camps- on 23 October last year to meet with local photographers. Although it is indicated on these supplements that Xinhua provides their content, they are likely to be confused by your readers with other articles published in your newspaper’s pages. Moreover, their content is generally at odds with that of the articles of your contributors, who are well aware that the situation on the ground is much more nuanced than what official Chinese propaganda agrees to show. Mr. Director General, we are aware of the difficulties that the print media currently face, and understand that your newspaper is looking for financial resources to maintain and pursue its activities. However, we feel that it is important to carefully select your external sources of funding, and to refuse spreading propaganda from authoritarian states guilty of blatant, grave and repeated human rights violations such as China. It therefore seems crucial to us that Le Soir, if it wishes to continue to produce quality journalism and to maintain its credibility and legitimacy as an independent media, cease publishing the supplements of the China Daily as soon as possible. We are surprised that a number of letters addressed to Le Soir on this matter have so far remained unanswered.